In this white paper we set out to compare two popular curricula, the International Baccalaureate and the British A Level programme to examine how UK universities treat applicants from each. Is there any consistency on a course or university level? 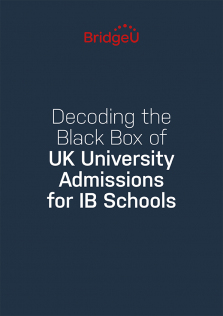 Are admissions decisions made by universities affected by their perception of the IB? Do universities discriminate against, or in favour of, IB applicants? How will UK universities treat the Career-related Programme? University admissions processes are opaque and unclear for applicants, schools put information in at one end and universities announce their decision at the other, with limited transparency on how decisions are made.